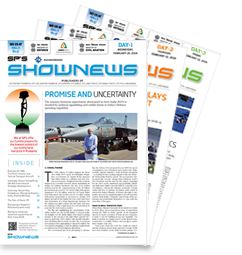 India’s Land, Naval and Internal Homeland Security Systems exhibition Defexpo, the latest edition of the biannual event, will see its formal inauguration tomorrow by Prime Minister Narendra Modi. This is an exciting surprise for the whole of defence and security fraternity. However, this is not the only first during the show, there are many. 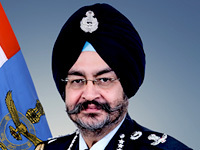 Speaking to journalists in the national capital during the curtain raiser press conference, on April 4, Secretary for Defence Production Ajay Kumar, said, “India is emerging as a major defence manufacturing hub. Defexpo 2018 will help India as an exporter of defence systems and components.” According to him, last year India has produced weapons worth 55,000 crore. 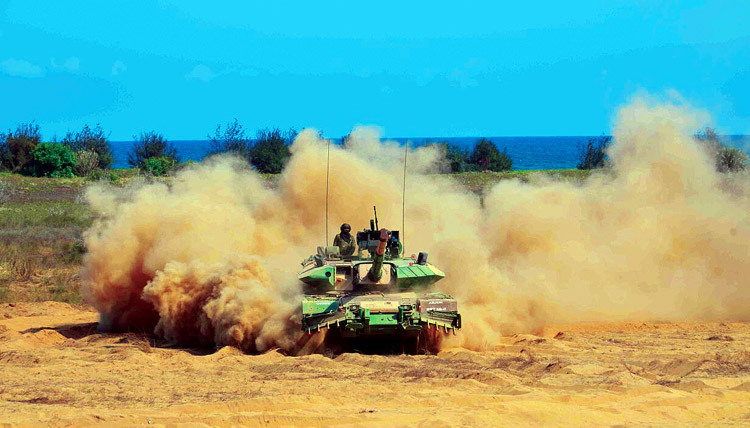 For the first time, India will project its defence manufacturing capabilities to the world. This is reflected in the tagline for the show, ‘India: The Emerging Defence Manufacturing Hub’. “While showcasing strengths of India’s substantial public sector, it will also uncover India’s growing private industry and spreading MSME base for components and sub-systems,” Ministry said in a statement. India is showcasing 70 homemade weapons to the world. 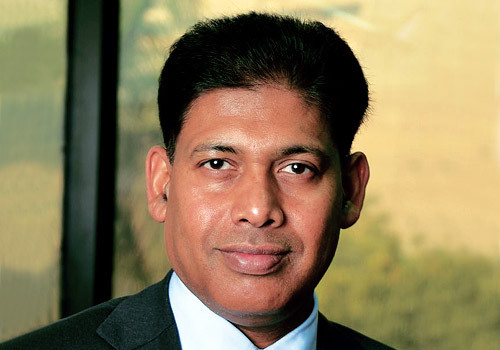 Talking about the FDI clauses, in the recently released Draft Defence Production Policy, Kumar said that government is planning to increase the FDI cap from 49 per cent to 74 per cent in niche areas where the country has not been able to develop it and may not be able to develop in the coming years. He also mentioned how many of Indian SMEs are exporting components and subsystems to global defence manufacturers. Ministry of Defence (MoD), on March 22 this year, came up with a draft Defence Production Policy (DPrP) 2018 with intent to “promote domestic production by public sector, the private sector and MSMEs.” This draft is a follow up to the production policy of 2011. In the draft DPrP, Government is targeting to “achieve a turnover of 1,70,000 crore ($26 billion approx) in defence goods and services by 2025 involving an additional investment of nearly 70,000 crore ($10 billion approximately) creating employment for nearly two to three million people.” In addition, the government also wants India to achieve export of 35,000 crore ($5 billion approximately) in defence goods and services by 2025 and a global leadership position in the field of cyberspace and artificial intelligence based technologies. According to the government, in the financial year 2016-17, the total value of defence production was 55,894 crore, around 12,000 crore above the 2013-14 value. In its tenth edition, the show will see the participation of 677 exhibitors which includes 523 Indian exhibitors and 154 international exhibitors. Nearly 15 per cent of the total exhibition space has been booked by medium small and micro enterprises (MSME). In terms of area, this edition is spread over 2,90,000 square feet which is 65,000 square feet more than the Goa edition. Some of the leading Indian participants include industrial majors like Tata, L&T, Bharat Forge, Mahindra, Defence Research and Development Organisation (DRDO), Hindustan Aeronatics Limited (HAL), Bharat Electronics Limited, Bharat Dynamics Limited, Bharat Earth Movers Limited, Mazagon Dock Shipbuilders Limited, Garden Reach Shipyard and Engineers, Goa Shipyard Limited, Hindustan Shipyard Limited, Mishra Dhatu Nigam, Ordnance Factories and others. Interestingly this edition of Defexpo will have two distinctions. First, the show will give an opportunity to visitors to witness Indian naval ships docking at the coasts. Second, while the show does remain military (in nature) encompassing various kind of systems, sub-systems and sub-sub-systems of weaponry / missiles / ammunitions / fighters / tanks / radars / EW / CW / warships / submarines, etc. on display; the visitors will have a delight to evaluate and experience range of coffee flavours and delights... by Starbucks. No wonder if we shall be able to experience ‘Chaayos’ and ‘Sagar Ratna’ in next editions of Defexpo which will be more towards ‘Make in India’. Major international companies include Lockheed Martin, Boeing (USA), Saab (Sweden), Airbus, Rafael (France), Rosonboronexport, United Shipbuilding (Russia), BAE Systems (UK), Sibat (Israel), Wartsila (Finland), Rhode and Schwarz (Germany) among many others. As mentioned in the press conference, around 47 official delegations from different countries will participate out of which 18 of them are ministeriallevel delegations. Around 20 countries are bringing large delegations with over 10 delegates. Ministerial- level delegations are from countries including USA, UK, Afghanistan, Czech Republic, Finland, Italy, Madagascar, Myanmar, Nepal, Portugal, Republic of Korea, Seychelles and Vietnam. Till now, the show has seen the display models of the naval ship but thanks to the location, for the first time, Indian Naval ships will participate in the show and will show operational demonstrations on April 14. INS Sahyadri and Kamorta will also be available for onboard viewing on Chennai harbour. In another first, the participants will be enthralled by the flying demonstration of Indian aircraft like light combat aircraft ‘Tejas’, weaponised advanced light helicopter and others. The show will also witness the maiden live demonstration by Indian land systems. India will proudly present its Naval designing capabilities in shipbuilding. India is one of the few countries of the world with capabilities to design a naval vessel from scratch to finish. India will also physically showcase, along with the shoreline several frigates, corvettes and other ships. The exhibition will also unveil India’s capabilities in manufacturing Scorpene class submarine. As regards to land systems, India will unveil it’s under development 155mm Advanced Towed Artillery Gun (ATAG) which has been designed and developed by DRDO in partnership with Kalyani Group, Tata Power. India also proposes to showcase its tank making capabilities, including MBT Arjun, T90 and T-72, Bridge Laying Tanks (BLTs) with a span of over 70 feet among others. India will also be showcasing OFB made 155mm/45 calibre artillery gun ‘Dhanush’. Defexpo will also provide an opportunity to showcase India’s plans for putting India on the global map of small arms manufacturing with its decision to manufacture about 7,50,000 assault rifles, 3,50,000 carbines and about 40,000 LMGs. On February 28, Defence Acquisition Council (DAC), chaired by Defence Minister Nirmala Sitharaman, accorded approval for procurement of 41,000 LMGs and over 3,50,000 close quarter battle carbines under ‘Buy and Make (Indian)’ category. Out of total quantities envisaged, 75 percent will be through Indian Industry under ‘Buy & Make (Indian)’ category and balance through OFB. The total cost for procurement of Carbines and LMGs for the soldiers of the three Services is 4,607 crore and 3,000 crore respectively. Earlier in the month, on February 13, DAC approved procurement of essential quantity of LMGs for the three Services through the Fast Track Procedure at an estimated cost of over 1,819 crore. This will be over and above the decision of February 28. DAC also approved the much-anticipated procurement of 7,40,000 assault rifles for the three Services. These rifles will be ‘Made in India’ under the categorisation of ‘Buy and Make (Indian)’, through both Ordnance Factory Board and Private Industry at an estimated cost of 12,280 crore. During the show, India and Russia will come together in the India Russia Military Industry Conference to discuss ways to strengthen the bilateral defence cooperation. Over 100 Russian and over 200 Indian industry leaders are expected to participate. The conference is being coordinated by Society of Indian Defence Manufacturers (SIDM) from Indian industry side. Ahead of the show, a Joint Commission with South Korea will meet on April 9 to strengthen defence cooperation between the two friendly nations. Of late Seoul has shown lots of interest in Indian defence programmes and is interested in establishing joint ventures between defence companies of the two countries. On May 12, 2017, L&T had bagged the order for supplying 100 155 mm/52 calibres tracked mobile artillery guns. The gun is improved version of the South Korean Hanwha Tech Win (HTW) K9 Thunder. During the show, first of its kind National Level Open Challenge Competition - “Solution to Problem” - Defexpo 2018 for finding solutions to the defence related problems by innovators, students, professionals, participants and foreign nationals who are attending Defexpo 2018. India Pavilion is being set up for the first time in Defexpo. The India Pavilion will showcase the combined strength of India’s public sector and the private sector in defence production. To take the show to interested people who could not fly to Chennai, the inauguration ceremony will be webcast to live audiences in Indian embassies across the world and will also be webcast on social media platforms including Facebook, Twitter, Periscope, etc.